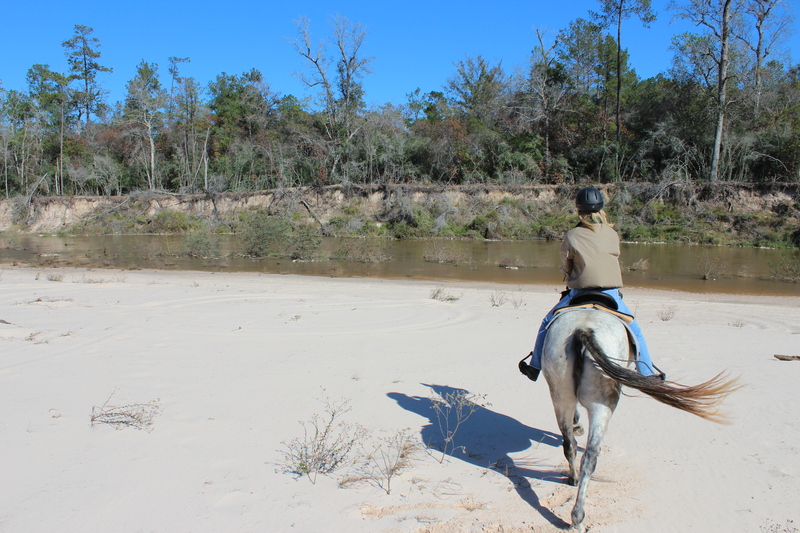 Where do you like to ride in the greater Houston area? One of our favorite places is Pundt Park. As soon as the weather cools off enough, I plan to go back. Would you like to join me? Here’s some pics from the Winter. The trails are well marked, easy, but many still look natural. 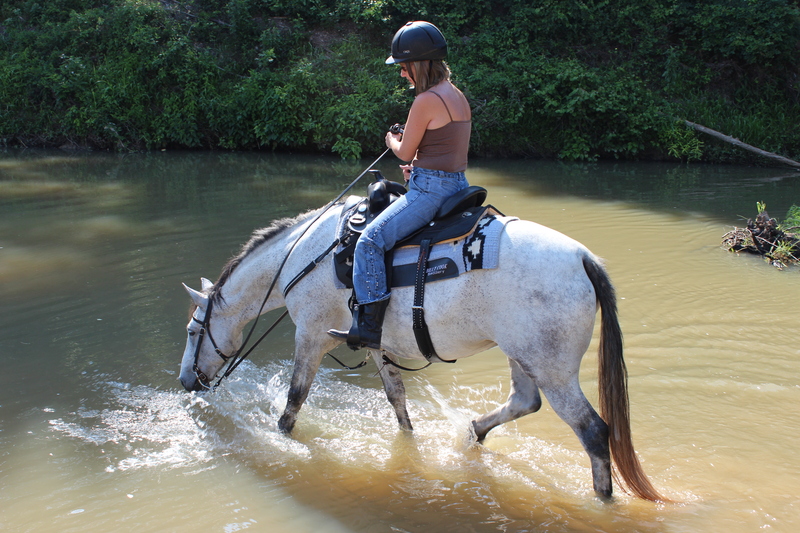 Blue enjoys the river crossings, which we do back and forth for hours. Going aways upstream and then up along the river banks and back across to the next sandy area. Blue loves to splash in the water until we are ALL wet. Back on the white sandy beaches and ready to find another trail. 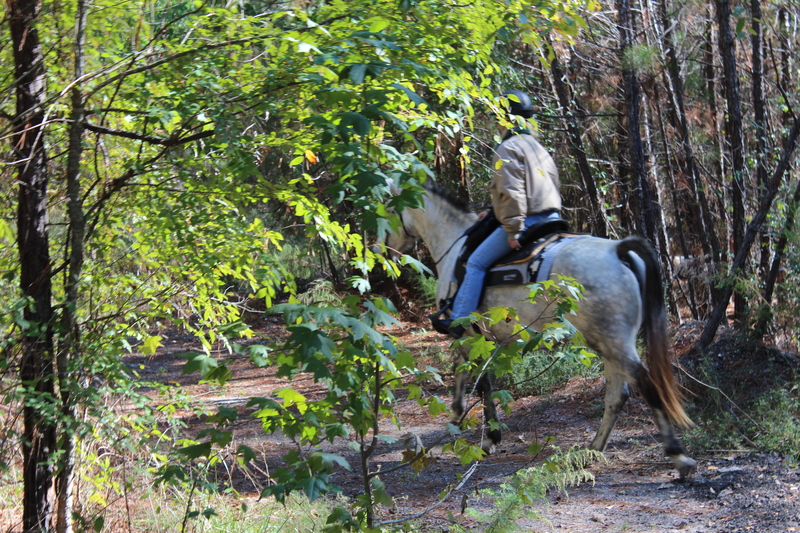 There are numerous named trails which are dedicated to horse riders. If you cross a paved bridge which goes into another park, you will find multiuse trails. But they are still non-motorized. My horses were a little afraid of the bicycles at first, although I enjoy sensitivity training and that is all part of the fun for me. I prefer not to ride in motorized traffic because even if the horse doesn’t spook there is still an element of real danger. 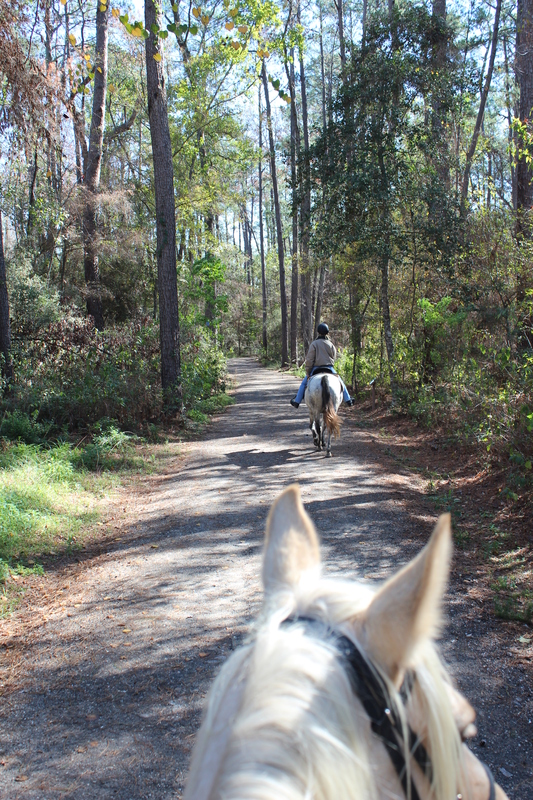 Additionally across the bridge there are also more horse trails dedicated to horseback riders. My husband, Steve, is the photographer riding Honey. Both Blue and Honey are Missouri Fox Trotters. 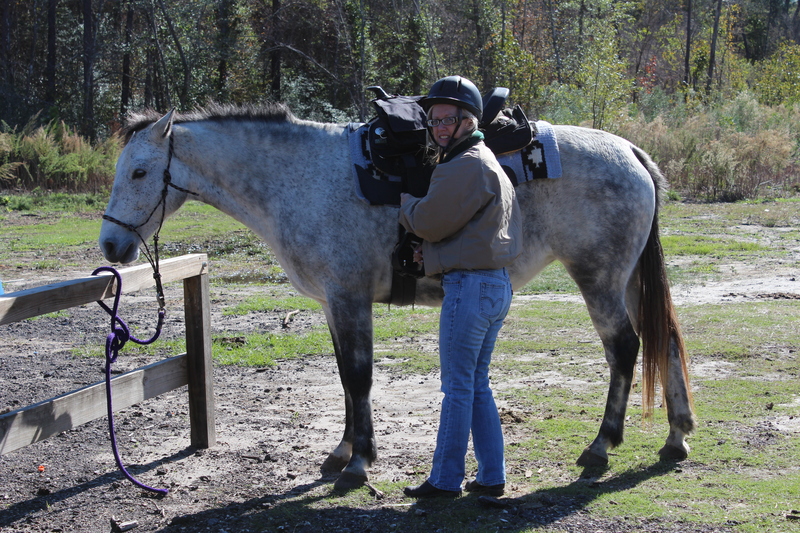 We decided on gaited horses because our old bones like the smoothe ride. However, I have owned several Quarter Horses, an Arabian, a Tennessee/Morgan, and several ponies, both when I was a child and when my children were growing up. I admire all breeds of horses. Now we have grandchildren learning to ride, as you may have seen on an earlier blog in Jamaica. 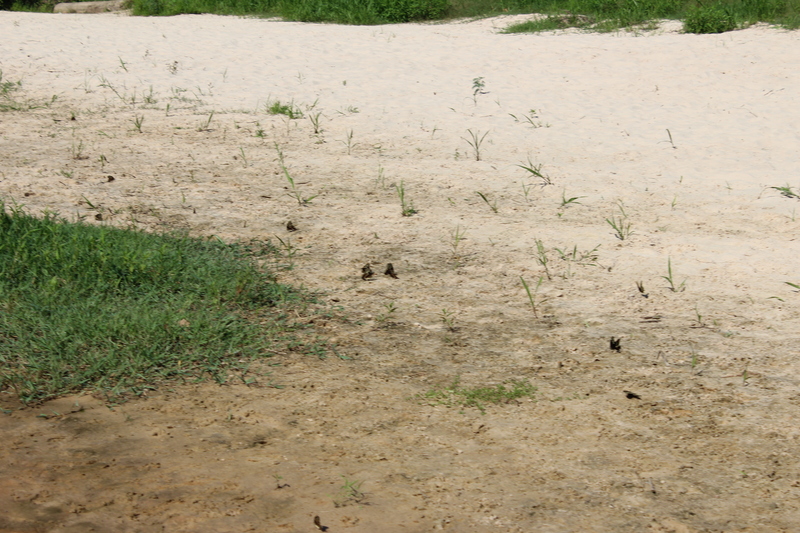 Also you can see from this picture that it is a good reminder of the drought. Before that, this was a greener park. Hopefully it will all come back. I don’t know if you can see them in this picture, but there were literally thousands of Monarch butterflies gracing the trail a couple times when we were riding here. They aren’t there all the time. 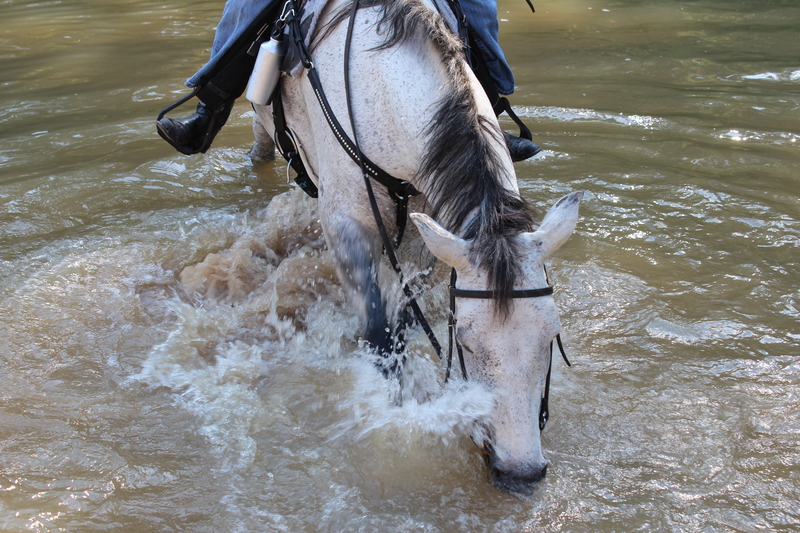 Time for a lunch break for us and the horses…. then more riding and then…. Time to unsaddle and go home to a warm bath…. okay, after grooming, feeding, cleaning up tack and horse trailer, but you know how that goes. In any case, check out these nice hitching posts at the parking area. It is plenty large enough for big rigs to turn around in. (I only dream of having one of them. Not that I could drive it anyways). Hope you enjoyed this story. I would love to hear about some of the local places you ride as well as your longer trips.